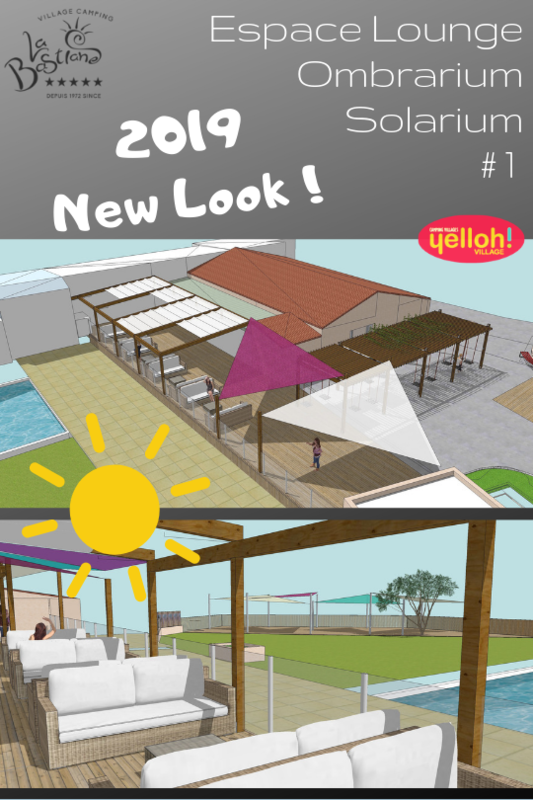 This winter, major changes are taking shape at La Bastiane!! This first step concerns the Taverne de Corto our Bar/Restaurant, which will be equipped with a brand new terrace with Lounge atmosphere, an ombrarium, all overlooking the aquatic area. A new space, with a contemporary look, design and cosy for your relaxing moments with your family!! 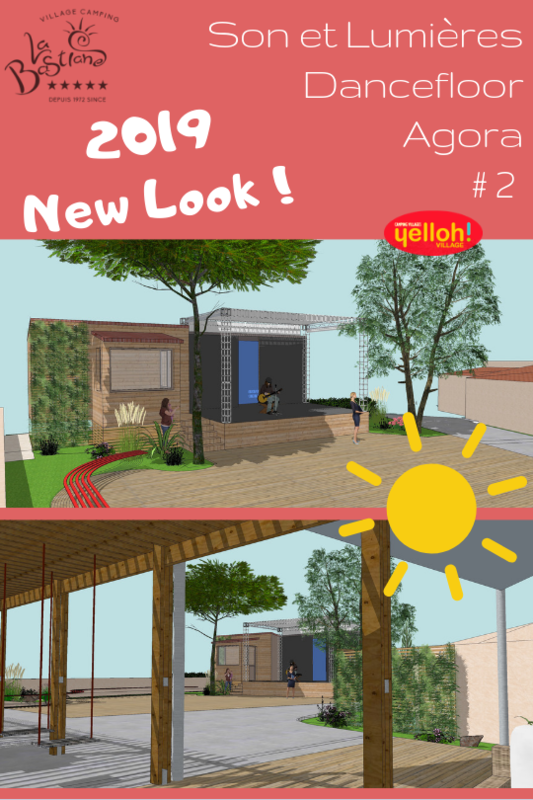 The camping spirit is the sharing, the joy of living and the feast… Welcome to the Agora, your new heart of village! A whole new central area where everyone will enjoy meeting for fun with friends, dancing or having a drink.. A place of life that will soon become the place to be of the camping! For Epicureans and sunbathing lovers, here is an essential step in our work: the expansion of the beach pool! A superb wooden terrace is being finished, with shade sails and deckchairs… ideal for a NAP by the pool!! Works are underway, and everything will be ready to welcome our first holidaymakers on April 12th! With a heated pool area, a 7/7 open Bar/Restaurant and a boosted team, your next holiday is guaranteed 100% happiness! So if it’s not already done, book your holiday rental in our dream campsite located in the Var, next to Fréjus! Authentic stay, friendly atmosphere and preserved natural surroundings…Make the experience ! In a constant effort to improve the quality of our services and to offer the best amenities, La Bastiane is making a relooking ! 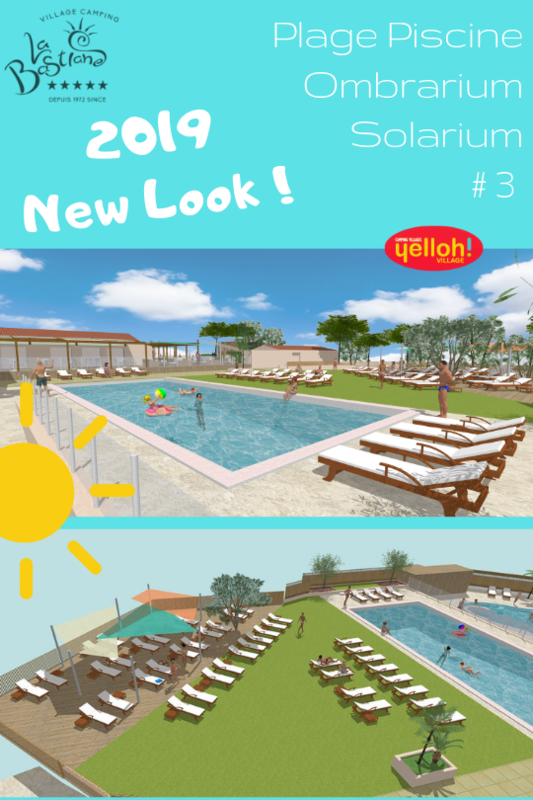 Works in progress: makeover project, creation of spaces, improvement of the landscape...final result on April 12th, 2019 for the opening of the campsite!